The Micro Gambrel measures 8-feet long and 7’4″ wide – which is just right for adapting to a trailer for a mobile micro house. The plans shows how to build the gambrel roof as well as the rest of the building. Use this as a shed, home office, or micro house. Extend the length and use it as a tiny house. This is the largest tiny house design you’ll find here. It is 12-wide and 24-feet long. The walls are 12-feet high and it has a 12/12 pitch roof. The tall walls and steep roof gives this a very useful loft. This is a classic tiny house with a 12/12 pitched roof. The walls are 2×4 and the floor and roof are 2×6. This house is intended to be used as a display for artisans at crafts fairs. It could also be adapted for any micro business that needs a small portable building. It’s footprint might be too small to serve as a real tiny house but it might make a nice weekend camping trailer for one or two people. This is a simple building intended to be be built on a simple foundation, like concrete piers. It has a loft above the main living area, a tiny wet bath, and kitchen. This would make a nice tiny cabin or with some interior layout modifications, a nice backyard office or studio. This is a tiny house on a trailer designed to be lived in full-time. It’s designed to be built easily and at a low cost. The plans include a loft large enough for a queen size mattress, a bathroom complete with a shower and composting toilet. The main living are can be configured to the owner-builders needs. This house has no loft but is long enough for a murphy bed downstairs. It’s similar to the 8×16 solar house but has two gable ends. Really interested in that new 8×20 design you’re planning. I’d seriously be interested in trying to build it within the next two months if you finish it soon. Do you have any guesstimates on how long it’ll take to finish the plans? I really like the 8×16 Tiny Solar house, and plan to build one. Looking at the plans, the the 2×4 framing seems to require 11 ft lumber for the tall wall (right) as well as the last parts of each end. The building materials list shows only 8 ft lengths. Were the longer pieces left off the materials list? I’m really interested in the plans for the 8×16 Tiny Solar House but when I click on download link, it doesn’t work. What do I need to do? I have subscribed to your newsletter. I’m looking to build a tiny home 8×12 to 8×16 max for a basically primitive site. I would like to built a 16’x8′ tiny trailer home. I already have a trailer. But my problem is i dont have a floor plan. Can you provide me one of your floor plan? Hello. Have youheard about straw houses? straw made into bales (lke with hay) and those used to build houses (much like bricks). need some wood to support corners and such and clay to plaster it to protect it from the rain. Growing numbers built in europe (also big houses). You bet. Strawbale is a great way to go, although I haven’t seen too many small houses built that way. I’d love to see more. I am going to build a small 9×12 (inside) strawbale house with a 3×9 bathroom and a loft. I am doing this in Ontario Canada on family land. 9×12 places do not need permits in (most locations) Ontario. I am looking here for details on how to do this off grid/ with functioning plumbing. I am interested in the same thing.. in Ontario, possibly. I would like to look at perhaps a straw bale tiny cabin. Portability is not an issue. Your comment regarding permits required is excellent. I’m having the same problem. It’s always the plumbing. . .potable water, sewage and shower water. If you can afford to dig a well, its the best because its always yours forever after free water. Composting toilet helps with the waste as you can just add it to compost pile. The other water options I’m toying with are rainwater collection and snowmelt (works well, just has to be strained thru cheesecloth after collection) Actually, a tank filled with rainwater fills my need for “grey” water – can be used to do dishes and showering. I do run it through a propane hot water heater. Its very small and does only 20 gals tops. Good sources to look for such items are thru RV supplies and large truck stop facilities. They always carry helpful items for a more mobile, compact lifestyle. Sometimes, they just give you ideas. Glad to hear to went solar, not worth even building unless it’s solar! Way to go! Keep us posted. I just downloaded the plans for the 8×16. I love it and thanks for offering them. One suggestion you might consider would be to add a list of building materials required of if you wanted to go all out a cut list. The plans, however, are still great without them. Thanks Jason… a cut list is a great suggestion. What would be wonderful would be if you adapted these designs to be free standing instead of on a flat bed. I like to 8X16, but really like the simple foundation setup on the tiny pre-fab. Water collection on a fixed Tiny House would be much easier with a single sided roof such as in the Solar House. Perhaps it could be an update for the ebook. Hi Dave… excellent idea. I have been working on an update to my ebook and will try to include that. I have to say that I am a new subscriber and I really enjoy the dedication you have to this concept. I have fallen in love with your American Dog Trot house – I wanna build one, perfect for our Queensland climate. We work a bit in Fiji and I wish our friends up there had the chance to build some of your decent, low cost, cyclone proof houses. I keep spreading your word – thank you. I really like the dogtrot style too. I’m in California and while they are intended for hot humid climates they seem ideal for a temperate climate where we can spend more time outside. Cob houses can also be built tiny and the building materials are free except for the doors, windows, and appliances. This ancient way of building houses should be considered more here in America. Look around online, there are several states where people are building them. Very intresting. I really liked the 8X20 design. It has simple but modern design. Easy to be manufactured and also keeps the cost low. I really liked it. We also make small panel houses in Crete Greece . and we think these plans are really smart! I am building the 8×16 tiny solar house. If anyone would like to follow my progress I have a blog at educationorhouse.blogspot.com. Thanks for the heads-up and link Adam. Looking forward to watching your progress! Regarding the 8×20 Solar House with Gables, have you developed a materials list and estimate? Not yet. On my to do list though. Is that a curtain on the 8×8 wet bath (i.e., not a door, right)? Anyone know of resources for building one, like perhaps an RV kit? Actually I was thinking a pocket door or sliding piece of plexiglass (or similar). Hello, I am in the business of building tiny homes, we can work from these plans or any others you may have. We also do custom design homes! If you live in PA, NY, NJ, ME, or OH, we can build your own personal tiny home and have it delivered to your location! We look forward to working with you on your Dream Tiny House! Send me info and a website link. I’d love to take a look. If you don’t have a website try setting a blog up free at wordpress.com and post photos and descriptions. Blogging about what you do is a great way to generate interest. I think your tinyhouses are very good for disable and seniors, that can’t afford a larger home. You should talk to ada about setting one up for the disable. We hear that suggestion a lot and see the importance of the issue. I suspect you’ll be seeing more and more accessible tiny house designs in the near future fro a variety of sources. I’m with wolfladi…even though I’m way behind the times and I’ve only just found this site! I had a stroke in December 2016 and now need a much smaller, more manageable home, even though I’m recovering quite well. A tiny home (with a Murphy-bed option?) would be ideal, as climbing stairs, no matter how short the stairway/ladder, is just too risky for me. Tiny homes designed for the disabled at any level would be so excellent!! thank you soooo much. Screw this system!@!!! i’ve been looking for the ‘loop’ and here it is. grrrrreattt idea!!!! So gracious of you to offer them free too!!!! Where do you get this???!!!! This type of stuff doesn’t exist. Don’t tell no one but i’m devising me a little plan to get the dough, don’t worry no criminal stuff! I was looking at the 8X16 tiny solar house plans and found what may be a problem or two. 2nd– The Right wall and Left wall have places where the loft 2X4s floor pieces would fit in between the verticle. Please correct me on either of these if I am seeing things wrong in the plans. Also, I think you may be keeping the size a bit too tiny here, this can easily go to 20′ long and add a 4′ porch to the back for a more “home look”. Just a helpful bump! Thanks for the mind candy! you’re right, I think I need to do an update and fix the materials list. Another thing you might want to consider is making a second model of the house. Most trailers will have their battery and propane storage on the trailer tongue. Problem is, that runs right into the bathroom in the current design. When you put in a converter and other hook ups, it takes up space and makes the bathroom difficult to use. I was thinking, maybe the loft and bathroom should go on the back of the trailer, and the door on the side near the front. The kitchen could be across the front of the trailer, where the bathroom was originally placed. Michael, I still plan to write up observations from my build, but it may be awhile yet. Anyway, this is one idea you can check for feasibility. Overall, I still like the plan. We will see if I feel different when I am towing it! I love the Solar House design. How do you build the right wall that is 130″ high using 96″ (8′) studs? Can you provide the construction detail for the joints? To save money, consider places like Craigslist to purchase a used compost toilet. You could save more than 50% by doing this. I’ve seen some great deals. Found a $2k version for $500! I have found a website by Alchemy and really like the look of the tiny house called Arado wee house. Have you or anyone else in your group seen any sort of rough free plans for this this house? Hi, I have two young teenage girls. I am a single mom. We have always lived in single room apartments about 250 sq. Ft. Is it possible to have three sleeping areas. Two would work. Just be tough with there ages. Can the loft sleep two mats with a divider and some sort of bed downstairs also? I would need a way to really open up the house with maybe double french doors. I figured a table that I could fold down against the wall or japanese seating would be better we don’t need a couch per say just a place to sit and eat or draw or work. Wonderful concept and great application for the use of minimal space. As a kitchen and bath designer, I find that smaller spaces create a greater challenge for a design which is esthetically pleasing while offering all the needs and wants of a client. It all boils down to using the space in the most effecient way—often very creatively. My only suggestion for anyone using the two layouts that I saw would be to utilize the center panel of the window configuation as the external door. This would allow mre wall and floor space as compared to the given layout. hi my friend . ineed to some plane about small building near 20 till 40 squer meter . please send for me by e mail. Back in the 1970’s a magazine called “Womans Day ” featured a DIY vacation cabin that you could build in sections-it was called The Bolt-Together Cabin. Could we see the Google Sketchup files of these free plans? Would be nice to have a 3D tour of the place before building it and save me a little tiime reconstructing them in sketchup. I should do that Val… good thinking. I’ll put that on my to do list. Thanks! Are the A Frame houses free? Where can I get these from? Love the concept, any ideas who might do these in the uk – beyond my skills! Really enjoy the freedom that tiny homes offers. . . Was really facincted to hear about the Bolt Designes. Thank You for offering up so many free designes. This is just a suggestion. If you are set on a 16′ house and have a 20′ trailer. Why not simply add a storage shed on the remaining 4′ ? There was a plan you said you would be working on that i believe was a 7 x 12 with an unusal roof line. Any news on that ? I was not all that happy with this book BackYard Sheds& Tiny Houses. I was hope that there was a better break down on the different parts of the houses. The utility modules, washroom, kitchenettes. I needed to know how to take and tie a panel with solar & wind power to the box. Put a backup gen to all of that. I have found a trailer that is 40 feet long. That is double the lenght of the fencil right now. The reason is so I can make a house on one side and a shop on the other side. Oh and the free plans that I was to get for get the book I can not find for the Zinn. thank you. It depends on how you have your wind power and solar . For example I have a power company thats hooked to mine , However after they inspected the box , etc, I made additions . First off the building is wired for 110 volts AC and 12 volts DC . I used regular house wireing for both in case something happened to one I had the other as back up . For example , Im useing Solar , Battery Standard power company , as well as a Fuel powered Geny . The power company and the Geny is hooked to the 110volts AC wireing and i use a Throw Box or Swtch box to alternate between the 2 . The 12volt DC system is shared with Solar and Batteries and is Switchable , Generally I will not run straight Solar as its used to keep the batteries charged . Also between the 12volt system and the 120 lies a power inverter , I can cut power from the geny and power company and run the 120 circuit off the inverter if need be , however there is a throw switch before the inverter and after the inverter for safety reasons . Now I will complicate things a little more , My Geny puts out 120volts AC and 220 AC as well it has a 12Volt DC connector for charging a Battery or can be used on the 12 volt circuit in the building or to Run the Power Inverter . I also have a Portable 12volt geny , It is nothing but a small 3hp gas powered edger with a simple Alternater mounted to it and a small Auto battery or you can use a Motorcycle battery instead of an Auto battery to save money , weight and space . also Anything that charges the Batteries has a regulater on it so the batteries dont get over charged . However the small 3hp gas unit utilizes a simple 1978 GM alternater with a built in regulater so its one less regulater i have to worry about . I can also use the small 3hp Alternater geny to run the power inverter . interested in building a 12ft.homesteader cabin, small house, what plans do I need? you can send me info. by email. thanks. I have a 12 x 24 cabin I have done all the work my self like the electrical, insulatin, walls etc. Im wanting to do an addition a 12 x 20 on one side to have a kitchen and a bathroom. 4 foot of the length is a porch thats why Im making it 12 x 20. Do you have any plans for an addition? I have never done any framing so I really don’t know where to start, I have been trying to do this for over a year now and I’m at a loss. I forgot the walls are 8 foot high and it sits on concret blocks if that helps any. If you have any ideas I would be very greatful. Where are the free complimentary plans for Zinn, for ordering The book, Backyard Sheds & Tiny Houses. Hi I’d like to get pictures of the homes and the free plans with it. Thank you so much for your free book sir. its really nice to not even get ONE picture of the finished product. Where is the link to the micro gambrel plans? I’d love to see them in more detail. Does the tiny solar house vol1 8×20 have a materials sheet? No sorry. What you see in the PDF is what is available. How do i find a small house like the one’s you advertise in Sunnyvale,CA? Sonoma County could be considered the west coast hub for tiny houses… so not too far north from where you are. Also check out http://tinyhousemap.com for other folks. You’ll find a great tiny house builder in Santa Cruz. Thank you for offer your frees plans. They are awesome. I have been looolking at tiny house for about a year now. I lately ran across a man who says this county calveras and tuolumne say that you can’t do anything with a a container. No plumbing whats so ever heavens no the woman told him, then a man came in and sweet talked her she knew him and he says i want to build a garage and turn it into a mother in-laws quarters what do I do, he gets the oh just come in when your ready sweetie and I’ll fix you right up, then back to my friend and NO you can’t do anything with out this and that permit. It appears that I am not going to be able to make a tiny house. It seems pointless is a county won’ t let you even install a sink without a permit. how are you all doing it!!?? I live in CA. I am living in a room at my daughters and expecting a settlment for a bad injury and want to build or have built a tiny house that is big enough for one and maybe two if I am so lucky to find someone to share my life with. I will need to act fast if the settlement goes thru. Do I need land? and if so how do I do it so that i don’t have to have permits? I just want it big enough to live in full time, and my bedroom a queen downstairs. I havemany ideas but don'[t know where to begin till I get some money of course, buit do I make it to roll is that the secret or put it on a foundation? Then it’s just like stick house so what’s the differnece?How and who will help me build one I am a single disable woman with a little 5 lb dog to go with the tiny house and my stuff not much is in storage and I have to have my money spent and the house built to live in 3 months then back onto ssi and pray I don’t get sick in the mean time,,or away it goes. I want to help build it but being disabled and such I will need help. I’ve learned to simplify living in this little room I’m in but my daughter is preg and with her bo and they need this room. I might be ready to roll in the dead of winter which is ok to. I come from snow country and can put on the winters and help. But which is better getting a trailer and how much and where do you get them and where can I afford to live in Ca close to my daughter with the baby but be able to move it if need be? or is it better to get some property I don;t want much as that is more taxes I will have to pay and such, so i want if off the grid. Please led me in some kind of direction please… Tracie I don'[t want to end up homeless I am too ill for that. move to canada. if you build your house on a trailer, there is plenty of crown land available. grow your own fruits andvegetables , harvest sticks for a rocket stove, hunt your own deer, trap your own rabbit, fish your own bass. She said she was disabled all you suggested isn’t do able for a disabled person. Put it on a trailer and its an RV, so you only need to follow a few simple rules. 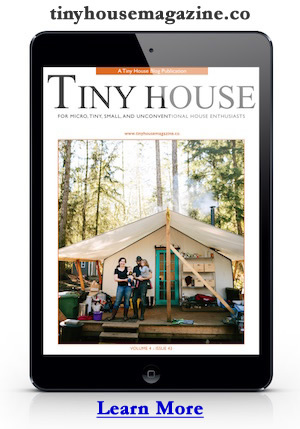 Check out TinyHouse.com . Felicitaciones y saludos desde Argentina. Me encantaron los planos,adquirí varios y estoy pensando en construir mi propia Tiny Hause. La primera en Argentina. Kindly I do request for a free plan for a three bedroom affordable house. Thanks for the suggestion. Not sure I’ll go that big but nice to know there’s a demand for it. I want to build the 8×8 tiny house on a tree house platform that is only 8’1″ wide. Is 8×8 the finished sq. ft inside or outside? Can the plan be easily modified to 7×8 so I can fit it on the platform? Hi Michael!! My husband and I are planning to build a tiny house so we can eventually live off the grid and save money to enjoy life with. We have a small daughter, 4. We bought a junk camper that’s 29′ long and we plan to tear it down and use the trailer for our “small” house. Everyone we know thinks were nuts but we will show them. I’d like to have two lofts, one on each side, and one of which will allow my daughter play room and will grow with her. I have so many ideas in my head but no idea how to begin putting them on paper. I’m no architect!! Is it possible to build on such a large trailer with lofts…..height and weight wise? Also, is it possible to do solar, reuse grey water (collect for plants), collect rain water for bathing and such, and not need to connect to any public utilities? My dream is to go to Florida where I’m originally from but I want the option to run like heck if there’s a hurricane or worse on the way? Can you advise any programs that might help us to create plans or how much it might be to hire someone? I’m buying your book because it has some really good idea and well, you’re just awesome!! Thanks for any help you can/want to give. …..our “small” family in WV. Old RV trailers can be a good place to start but the original manufacturer probably made it strong enough to support the trailer it was designed to carry. It’s also old and may need repair. So for reclaimed trailers its best to have them looked at by a professional. It may be that the axles, springs, and hitch may need upgrading. A 29-foot tiny house will probably weight over 12,000 pounds too which may require a third axle. The other issue with a big tiny house is hauling capacity of the truck that pulls it. Full size trucks are often rated to pull 12,000 pounds but only really big full size trucks can tow more. For all the off-grid solutions (composting toilets, grey water disposal, rainwater collection, power, etc)… the laws/rules/codes/ordinances really depend on where you are and if the building is placed on a foundation or not. If the house is on a trailer a different set of rules (along the lines of an RV) may apply. It’s a grey area and not standardized. For example in many areas a composting toilet is not legal, but tossing diapers and other bagged poop is allowed by the garbage collection utility. Sounds crazy but often true. So to stay legal some folks will use a composting toilet and just throw away the compost instead of using it on trees etc. Other folks will install RV-style plumbing systems and dump their waste like a full-time RV-er. I use SketchUp to draw things. It’s a 3D drawing program that can be used to make plans too. http://www.sketchup.com/download But it’s a bit tough to learn. Pencil and paper might be the best way to go for most folks. Before you build I’d recommend looking at a couple of how-to books and maybe take a workshop. the 8×20 solar house looks like the house from the TV show tiny house nation and they built a terible copy of it.The lady wasen’t sure of the move and that lame version will kill her oppinion of tiny houses in a snap. it seemed the host were lost as to how to take over the build and never got a handle on what to do with what had been done.oh well i supose a bad example will make folks think more than a good one. While tiny house design is a fantastic idea for travelers (pod hotels, etc. ), college students, and retirees – reality is that most people are accustomed to and prefer larger. I constructed my own ‘split shot-gun’ on a 24×40 foot print and could have gone smaller. But, all said and done, hindsight suggests that package housing would have been the easiest and most future expandable option. Need any advice? I made plenty of construction mistakes to share! Do you have any pictures or plans from your build? I’m leaning toward the tiny house design. But I wish I saw more designs that were just a tad bigger. I mean I know guys whose workshops are 20×40. Now that,in my opinion with a 2nd story would be tiny house heaven. Can’t wait to hear from you. Would u share ur plans? Was wondering does anyone know where I can find plans for 10×20 200sf. I always see 8×20’s or 12×20’s never in the middle. I was going with max because I seen somewhere that 200sf if max without having to pay for all the codes stuff if I’m right. Thank you so much for having these plans posted for free. I have been looking and looking for the perfect plan structure for building and came across your 8′ x 20′ tiny solar house plans and will be using them to build I think. But I need to change a few things and possibly adapt it to either be 22′ or extend the high point in the center to make room for sleeping for both my daughter and I. Do you offer a sketchup model of these plans? I would be willing to purchase it. Again thank you so much for having such an awesome page for tiny house plans this has taken a lot of the fear out of building my own! Please feel free to email me! Wanting to build 12×16 on pre fab shed on acre family land in S Carolina. Have very very limited funds. Have well and septic and power hook up. My tiny home is 16′ wide and 7′ long. I love it! The design and all. My tiny house is so unbelievably cool that I can fit my entire family (5) and a few guests! Given that I make my son sleep in the closet, but that’s okay! Based on my ridiculously low income and physical health, this sustains all of my needs! Awesome job guys! I’ve downloaded the plans for the 8×16 solar and I’ve made a few changes to windows etc. I’m submitting the new plans to a SIP manufacturer and I need to make sure everything is square and adds up. When I input the numbers into blocklayer.com to figure out the lengths and angles of cuts for the studs in the front and back walls, the roofing width is 99″, but that’s just to the outside of the framed front & back walls. It doesn’t account for the extra 3+” on each side from the studs on the long walls. If I do pythagorus it says 102″ but if I go by blocklayer and accounting for long wall studs then I’m guessing about 105″. Help! I am so happy I’ve joined this site. My name is Pamela. I broke my back after I had decided to sale my home and go tiny. We broken back or not, I’m still going tiny. Yes it’s slowed me down (almost 2yrs) but I’ll get there. My main problem is finding where to put my tiny home without paying 500 $ a mo. Right now I’m in OH. For right now, I need to stay in the Portage County area, that’s near Kent State. I was wondering if any other tiny house lovers can tell me where their finding to but their tiny home. Eventually I would like a warmer state than OH? Thanks ya all. I need a floor plans for 16’x8′ trailer tiny home. Can you provide me one? Thankyou for allowing us to download some of your plans for free. The ideas you come up with are great, unfortunately I have yet to find one plan that suits my needs yet (lol). So far it has been a case of bits of several different ones. I was wondering if you had any plans to do slide outs? Or if you even had any expertise that would be of help to those of us who need the extra space a slide out would create? Thank you for the design ideas for the stairs and fold flat chairs you have posted fairly recently, they are a great help! I enjoy following what come up with as they are usually both practical and aesthetically pleasing, because while we may want and/or need to go “tiny” if the house is not a home it won’t work for the long term. I’m looking for plans for a 8×20 tiny house on trailer with a simply shed roof. Can you provide one? I’ve got a new plan for an 8×20 shed roof in the works right now in fact. Should just be another day or two and it will be ready. It will be one of the paid plans though. Hey Michael Janzen, I was in the process of building that Prospector’s place tiny house for me and my wife near the river here in Chipley, Fl. I was wondering if you had any other persons who had built it and actually live in it anywhere? You know some ideas for the inside? I am making it about 2 ft by 2 ft larger though. If you have a video you could send me that would be great. Great! Love to see what you build. The 8×8 v3.0 plans have great detail on the walls, but are suspiciously vague about the roof framing — have you ever built one of these up? I don’t see rafter length, placement of birds-mouth cut, or any of the other basic common-rafter dimensions. I’ve also found the materials list doesn’t line up with the materials shown on each page — the amounts of three-quarter-inch plywood in particular seem to vary widely based on where in the plans you look. Nice to look at, but definitely starts to fall short once you start working on the roof. I am very interested in your 8X32. I think it would work very well for a wheelchair bound person. Is there a way to see the blue prints? Construction Careers Academy, a four year public Magnet High School, is building 5 tiny houses, one is a version of the Solar. The one we are building is an 8×24 and is designed to be off the grid. The home will be at the San Antonio Home and Garden Show next weekend 9/30-10/2. All five homes are being permitted through the city and will go through all inspections. The campus website is http://www.nisd.net/cca, you can check out all the homes the students have built over the past four years. I’m so interested about that and also my friends in entreprise lévisienne amazing! How long do you think it would take to build the 8×16 solar house if it’s me (not a builder but pretty handy) and a teenage son (strong but ADD)? And, after how many hours would we be at the point where he can sleep on an air mattress inside (even if the finish out is still work in progress)? 3 to 6 months. Many pro builders can do it in 2-4 weeks. Looking to see if anyone has done a tiny home in Michigan and have you had any trouble with doing so by zoning in certain counties? My husband and I are looking at building a 8′ by 40′ gooseneck but we are having trouble finding a builder in state and to find a city to place it in. Not only that I’ve been reading about how HUD is trying to Stop tiny homes from being used as a permanent residence. My wife and I are also looking to build on a gooseneck trailer. We live in Michigan, and we are having troubles finding a builder. Our goal is to use it to travel and tour the country. Think snow birding. Eventually finding property to settle down and retire. Very concerned about reading news that hud (government) is wanting to restrict tiny homes as a permanent residence. Could you help us on either of these issues? Or point us in the right direction? I would contact Damon with Trailer Made Custom Trailers, we build 3-5 tiny homes a year and use him for all our builds (number below). His trailers have been recognized as an engineered house foundation by the city of San Antonio. We have had great luck using his product and I know he has gooseneck trailers available. The city of San Antonio, TX just reduced the sqft requirements of a home to incorporate tiny homes in their master plan. Will you be at the THOW show next weekend in Chattanooga Tennessee? I’m building the 12×24 Homesteader’s Cabin v.2 as a 12X16 with some other modifications right now. These plans and the sketchup file are a piece of wisdom. Yesterday, I was able to pre-cut and assemble the gable end triangular walls using the specific measurements from the sketchup file. It was awesome! Thanks for the feedback! Would love to see what you come up with. Just me and1 dog, 1 cat and a dream of living tiny! Thanks for the blueprints! Can you do a plan that is 14′ x 28′ or close to that, with a loft? I’ll keep that in mind. I have some larger tiny houses on wheels in the works, which will come before any new cabin plans.